An unseasonably cool summer night created the perfect background for the shy, raspy singer Ray LaMontagne at Merriweather Post Pavillon. Touring in support of his new LP "God Willin' & the Creek Don't Rise," LaMontagne was bookended by Serena Ryder and David Gray ("Babylon"), perfecting a trifecta of musicians talented with both vocals and guitar strumming. I missed most of the opening act to continue to enjoy tailgaiting in the high 70-degree weather, and skipped on most of David Gray to beat the traffic rush back to Northern Virginia -- but I savored each note of LaMontagne's performance. Playing a nice mix of old favorites ("Trouble" is the eponymous fan favorite), including my personal favorite "Shelter," he also mixed in newer, more up-tempo songs. 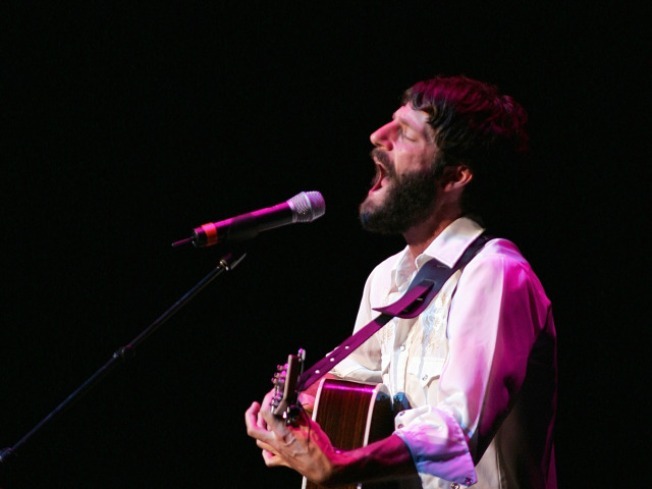 LaMontagne's voice is sort of what you'd expect to hear when someone is kissing your hand, evocative and memorable. In fact, there's nothing fancy about the staging or the songs -- think mostly guitar with the harmonica thrown in once for good measure. The music simply speaks for itself, which is a good thing since LaMontagne doesn't talk much in between songs, either, though he does tell a funny story now and then when he's in the mood.